Trip To Indonesia Other Trip To Indonesia Trip To Nature Trip To Baluran National Park And Enjoy The Beauty of "Africa Van Java"
Indonesia is a big country, which has an amazing diversity of animals and plants. And one of the places, which can represent the Indonesia natural wealth and beauty, is Baluran National Park. This National Park is located in Situbondo Downtown, East Java Province. 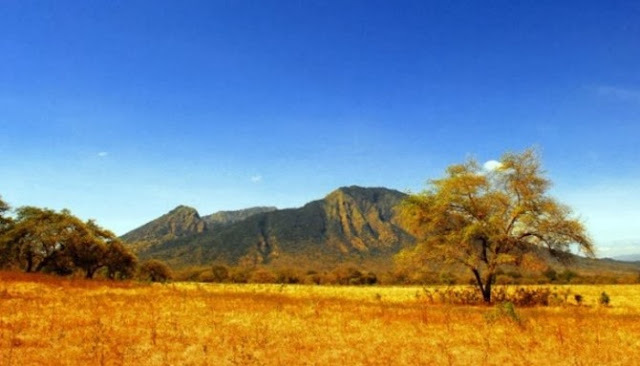 The uniqueness and advantages of Baluran National Park are in its natural condition. Where the natural conditions of this National Park, is dominated by a fairly wide savanna area. It certainly presents a different landscape, with the forests or other National Parks that can be found in Indonesia, which is usually just a tropical forest. The existence of a vast savanna, making the tourists who visit Baluran National Park, feel like being in Africa. And that is why, Baluran National Park is often referred to as 'Africa van Java', or Africa at Java Island. At the time of the rainy season, Baluran National Park area will be dominated by green grass, so it displays stunning natural scenery as far as the eye can see. While the peak of the dry season comes, the savanna area in Baluran National Park will transform into a vast barren, as is the vast savanna region in Africa. Complete with herds of bulls and swarming deer. As a National Park, Baluran is quite complete in presenting the facilities, and supported by wild fauna. In this National Park, we can still find Ajag (Wolves), who like to hunt and prey on a deer. Ajag is a jungle dog, domiciled as a predator, and likes to hunt various animals. As for the animals that used to be prey, is like deer, mouse deer, rabbit, and other similar animals. 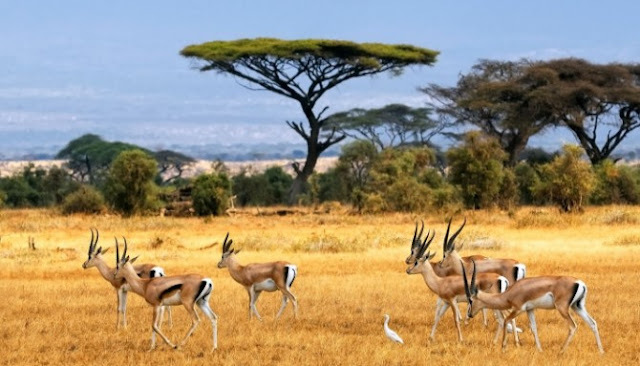 In addition to the unique scenery, visitors can also enjoy other unique sights such as herds of deer and bulls, which cross the river as we often see in various television channels, which broadcast wildlife in Africa. In addition to offering memorable excursions, Baluran National Park also offers a unique inn, located within the Park area. Here is a room with a background of savanna, so that those who stay can enjoy various natural beauty, such as plants and animals up close. Baluran National Park is populated by rare animals, such as leopards, buffalo, wild buffalo, deer, mouse deer, mangrove cat, and various species of birds such as eagles and others. Here also there are a variety of plants and rare trees, which also add to the treasury of natural wealth in Baluran National Park. That is a review of Baluran the National Park 'Africa Van Java'. Visiting Baluran National Park, it certainly will be a very exciting and unforgettable experience, as if we were visiting the African region without the need to spend a lot of money.